LXV, 355 p., 1 ill., 15,8 x 20,8 cm. This treatise contains Weigel’s first all-encompassing depiction of his autonomous science, which conceives the geometrical method with its strict logical coherence both as the true philosophy and the universally valid method of any science. 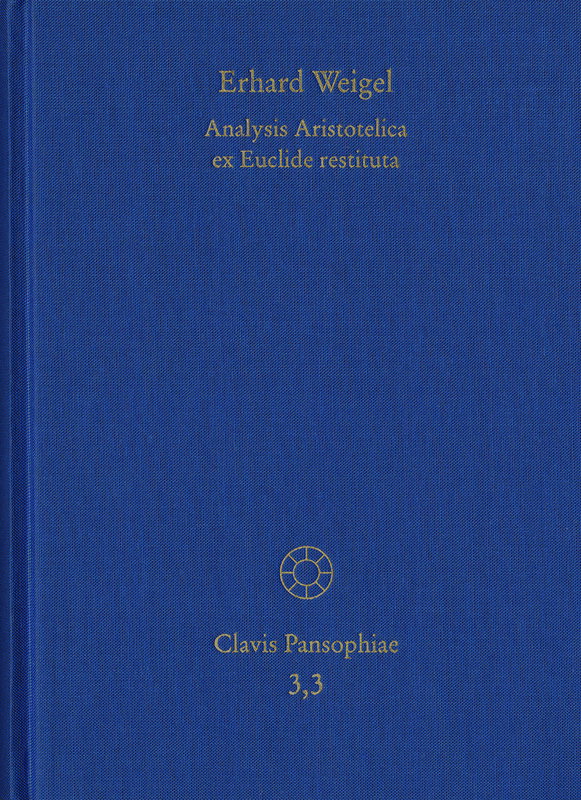 The treatise, which has an anti-scholastic bent, seeks to restitute the pure teachings of Aristotle. It is divided into sections addressing the definition and the subject of proof, the principles of proof and the practice of the proof or method. The latter unfolds, as methodus universalis, in an all-encompassing system of world wisdom throughout all philosophical disciplines. This system culminates in God as the greatest good or the origin and goal of science. The treatise significantly influenced the young Leibniz and his efforts to establish an all-embracing »scientia generalis«.